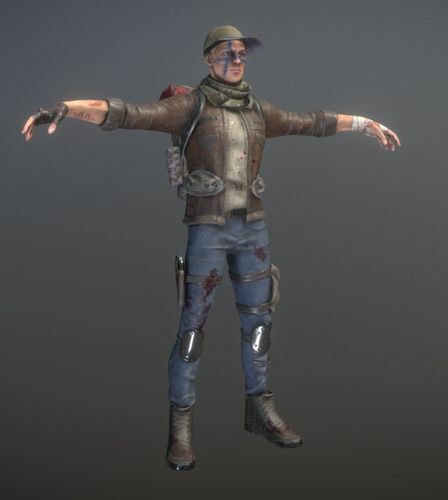 Package includes a Tpose Rigged Humanoid Character in FBX format, standard PBR textures, Unity PBR textures as well as Unreal PBR textures in 2k resolution. character has two meshes, body and backpack. body is 8k triangles, Backpack is 2k triangles. three level of details are also included at 80%, 60%, 40% of original poly count.